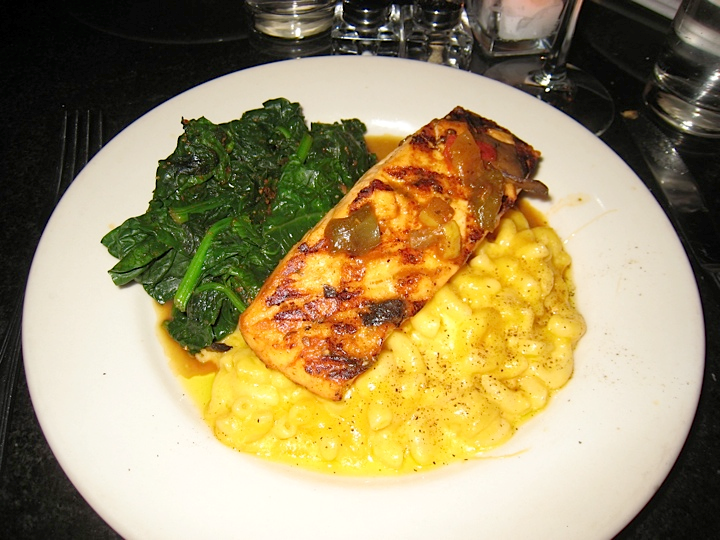 When it opened in 2005, Melba’s was one of the first new restaurants to arrive on Harlem’s Frederick Douglass Boulevard. 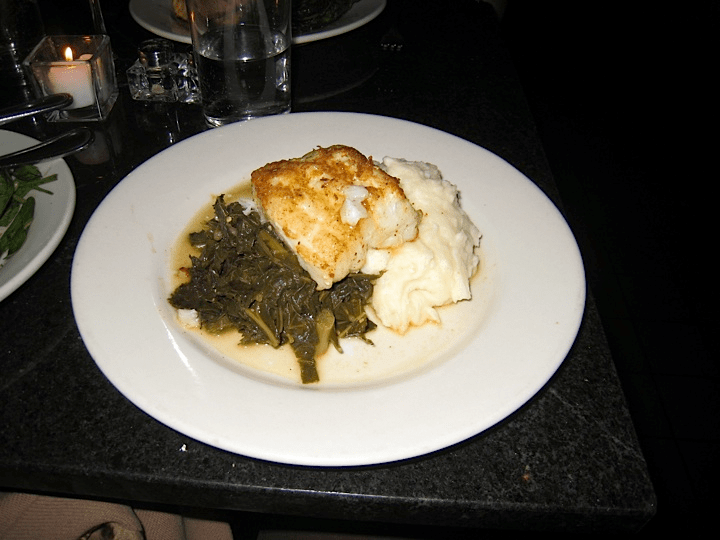 This warm, welcoming, elegant establishment serves “American comfort food”. The menu now includes a few “healthy eating” items as well as traditional southern dishes. 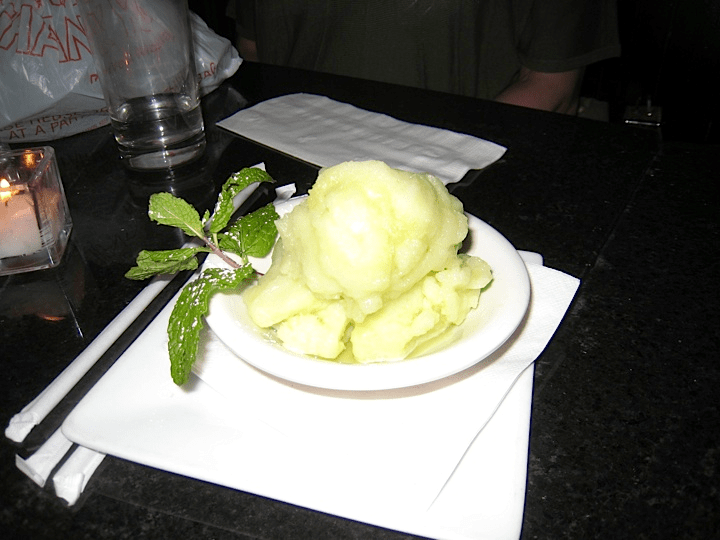 Melba’s is a favorite of local residents as well as a destination of choice for celebs, political VIPs, and New Yorkers in-the-know . 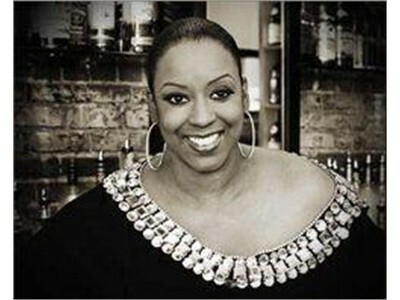 The owner, Melba Wilson, can often be seen greeting her guests with the grace and style that are her trademarks. 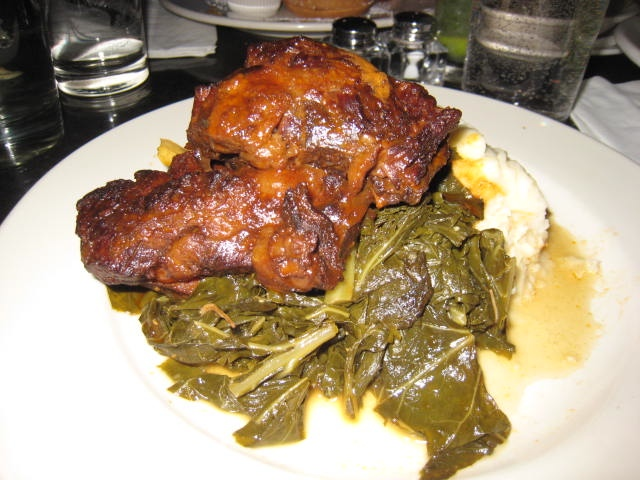 NativeNewYorker recently shared an outstanding meal there with other HCL founders HarlemGuy, HarlemHouse and ICare4Harlem. Melba wasn’t there but the place still ran smoothly. From the moment we walked in, her friendly, knowledgeable and efficient staff made us feel at home. We started with appetizers – the catfish strips were yummy, and the drinks were also a hit. I am not a Mojito lover but my colleague assured me that his was first rate. Our entrees were all beautifully presented as well as delicious. 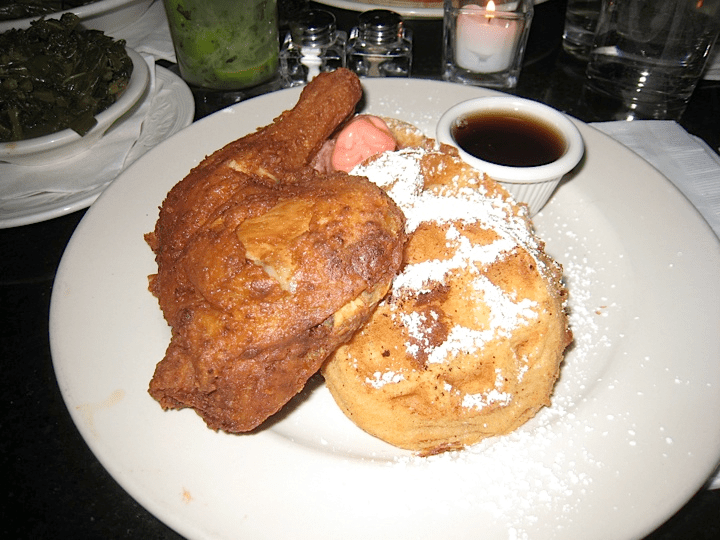 HarlemGuy had the Melba’s signature Southern Fried Chicken and Eggnog Waffles, HarlemHouse really enjoyed the salmon with Melba’s famous mac & cheese and sauteed spinach; ICare4Harlem had the wine braised short ribs of beef and yours truly had the Chilean Sea Bass which was perfectly cooked. We were almost too full for dessert but couldn’t resist sharing the chocolate mousse cake and the scrumptious homemade green apple sorbet. We lingered long after the last morsel was finished, enjoying the amazing selection of old school music that was playing throughout our meal. Often the music at Melba’s is pumping (sometimes a little too loudly for my taste) but this was a Sunday night and the sounds were perfect for ‘chillin’ with good friends. 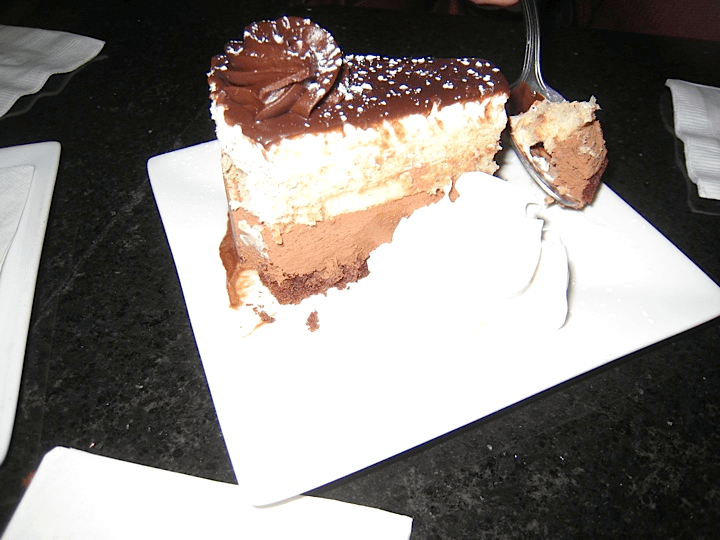 If you haven’t been to Melba’s – go. This small, classy establishment is still the Queen of Frederick Douglass Blvd. 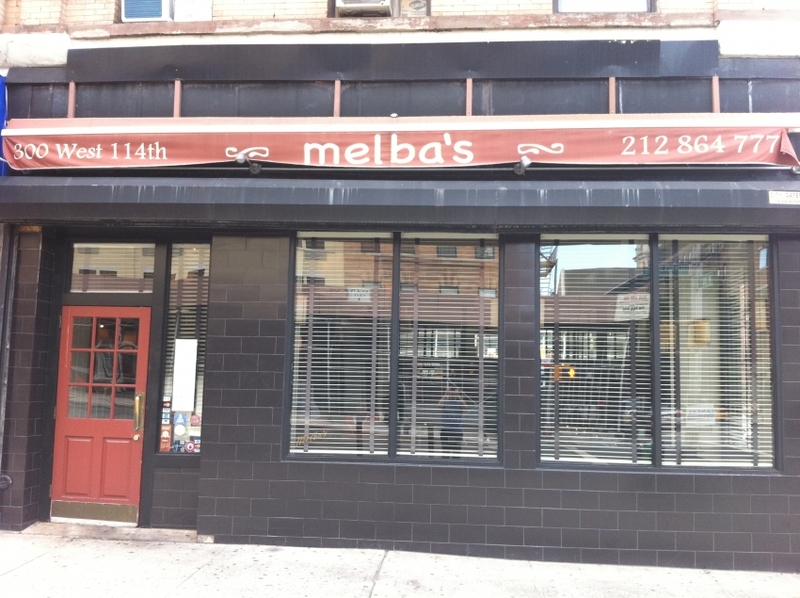 Melba’s is located at 300 West 114th Street on Frederick Douglass Blvd. It is open for dinner Tuesday through Sunday and for brunch on Saturday & Sunday. Call (212) 864-7777 or email melbas@melbasrestaurant.com for information or reservations. Melba’s also does catering; for information email melbascatering@gmail.com. Pingback: HarlemCondoLife | Neil Patrick Harris and David Burtka "Officially" Move to New York: Welcome to Harlem!